Prefer not to tan but still love the colour? 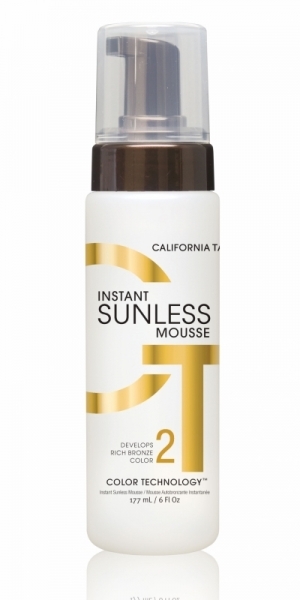 We've got you covered with our selection of flawless sunless creams and sprays! Always in stock at The Sun Emporium on Livingstone! Sunless color that flawlessly matches all skin tones. Turn ANY lotion or cream into a gradual or instant sunless tanner! Say farewell to pale, and hello to fauxtastic dark color! This newest edition to Designer Skin’s Faux Natural™ Sunless Collection gives you the insider secret to faking your way to bronze perfection with a revolutionary DHA concentrate that allows you to control your color! Let all your friends think you’ve got a personal spray tan artist on speed dial… we won’t say a word. Sometimes it’s okay to fake it! A totally automated spray tanning booth, designed to give you a perfectly applied, flawless tan in minutes. Only $29 for one session which will give you incredible colour for 5-7 days!